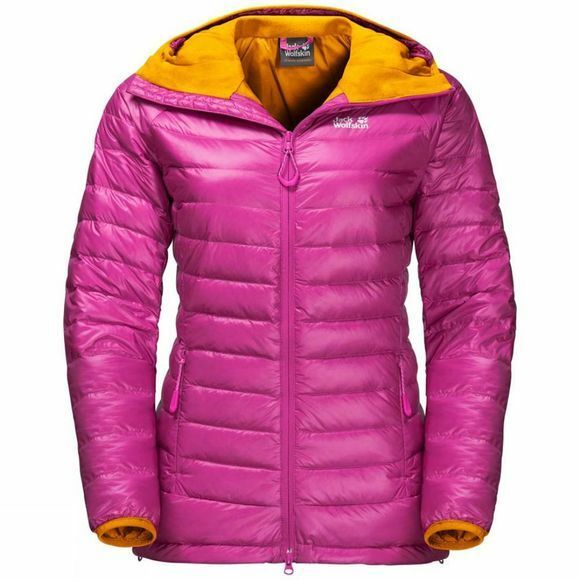 The Womens Mount Floyen Jacket from Jack Wolfskin is not only super warm and Light–the down is also water resistant, courtesy of the special hydrophobic treatment. The Mount Floyen is ideal for use In a Winter sports layerIng system. In freezIng temperatures or deep snow you can wear this Jacket under your hardShell.Winter sports features Include a snow skirt, multiple pockets and a RECCO chip. The thumb loops stop the Jacket sleeves ridIng up and bunchIng, and seal them tight agaInst the cold and the snow.